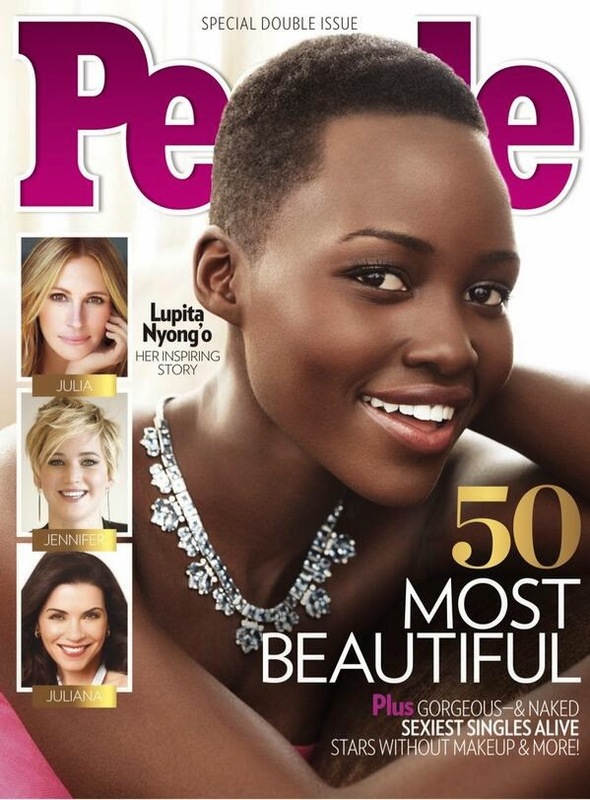 It's official: Lupita Nyong'o is People magazine's Most Beautiful Person for 2014, besting Jennifer Lawrence, Julia Roberts and Julianna Margulies. This should come as no surprise to the magazine's readers (and to the world, really), and not only because Nyong'o is breathtakingly beautiful. The breakout star of "12 Years a Slave," this years Best Picture, won an Oscar herself for Best Supporting Actress. She soon after inked a contract with Lancome Paris, and constantly lands on "best dressed" lists with every red carpet appearance. But it's the 31-year-old Kenyan Mexican actress' reaction to the new honor that captures her the most. "It was exciting and just a major, major compliment," she told People after learning she's gracing this year's cover. " I was happy for all the girls who would see me on [it] and feel a little more seen ." The humble yet powerful sentiment seems to be a constant when it comes to Nyong'o, whose speeches have become as much an inspiration as they are a gracious thanks. At the Academy Awards, she wrapped her speech up with the memorable "I look down at this golden statue, and may it remind me and every little child that no matter where you're from, your dreams are valid." "I want to take this opportunity to talk about beauty. Black beauty. Dark beauty. I received a letter from a girl and I’d like to share just a small part of it with you: 'Dear Lupita,' it reads, 'I think you’re really lucky to be this Black but yet this successful in Hollywood overnight. I was just about to buy Dencia's Whitenicious cream to lighten my skin when you appeared on the world map and saved me.'" "I remember a time when I too felt unbeautiful. I put on the TV and only saw pale skin. I got teased and taunted about my night-shaded skin," Nyong'o added, wrapping her speech up with: "I hope that my presence on your screens and in the magazines may lead you, young girl, on a similar journey. That you will feel the validation of your external beauty but also get to the deeper business of being beautiful inside. There is no shade in that beauty."